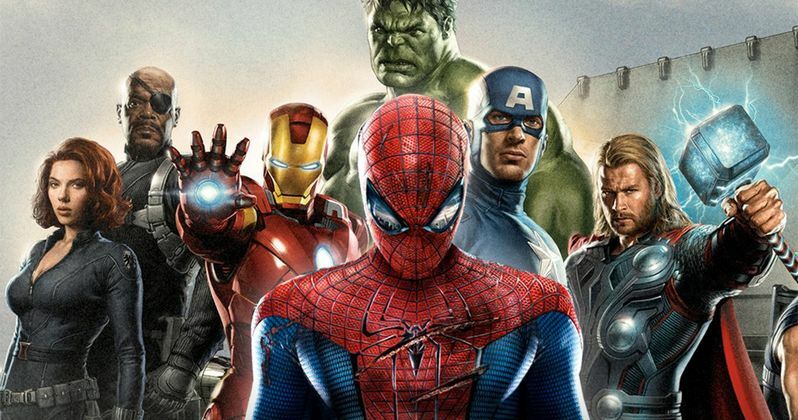 Spider-Man May Not Appear in Avengers 3? As we get closer and closer to Avengers: Infinity War starting production next month, new details are starting to surface about this highly-anticipated production. Directors Joe Russo and Anthony Russo have teased that there will be upwards of 67 characters in this massive adventure, although we haven't gotten a full cast list quite yet. Many have wondered if one of these characters will be Spider-Man, who made his Marvel Cinematic Universe debut in this year's Captain America: Civil War, and it seems that there may be a deal in the works for this beloved character to return in Infinity War. While promoting his new film The Lost City of Z at the New York Film Festival, Spider-Man himself, Tom Holland, teased that it may happen, but nothing is set in stone. "It's all up in the air. I believe some sort of deal is in the mix, but I'm unclear as to what that deal is." The actor wouldn't elaborate in his statement to Variety, but it wouldn't be surprising to see Spider-Man surface in this massive adventure. No plot details have surfaced yet, but it has been teased that the entire Marvel Cinematic Universe will unite to face Thanos (Josh Brolin). The actor also spoke about his experiences in wearing the Spider-Man suit, which he wore in both Captain America: Civil War and Spider-Man: Homecoming, revealing that it isn't terribly comfortable. "The suit's not the greatest thing, but sometimes when it's uncomfortable, you just have to remind yourself of the long list of actors that would love to be in that suit and you just go, 'do you know what, f**k it. I'm the luckiest kid alive. I deserve to be here and I'm going to give it my best." Production recently wrapped on Spider-Man: Homecoming, which Marvel and Sony Pictures will release in theaters on July 7, 2017. Tom Holland also revealed that he did as many stunts as possible in this stand alone superhero adventure. Here's what he had to say about his stunt work below. "I did as many [of the stunts] as I could, but there are some things legally that I couldn't do. There were stunt doubles who were all very, very talented guys who really supported me throughout the process. Whenever there was a stunt that I didn't necessarily feel comfortable about, they would step in and show my how to do it, and coach me through the process." As for Avengers: Infinity War, Joe Russo and Anthony Russo will direct from a script by Christopher Markus and Stephen McFeely, who wrote all three Captain America movies. The directors will reportedly shoot both Avengers: Infinity War and the Untitled Avengers sequel back-to-back, with the latter movie hitting theaters on May 3, 2019. Hopefully we'll get confirmation on Tom Holland's involvement in Avengers: Infinity War soon.